by Ken Edwards, 11 November 2018. The 2019 State of Origin Dates, Venues, Fixtures & Draw for 2019 have been now been confirmed and ticket sales have been released for all 3 matches. Game 1 will take place in Brisbane, for the first time ever, Game 2 will be in Perth, and Game 3 in Sydney. Tickets sales for the Perth game are selling like hotcakes and flights to the nation’s Western capital are already reaching capacity for the Origin weekend. 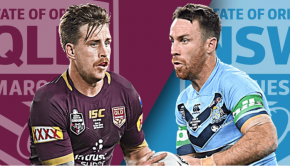 Following their Origin Series victory in 2018, the New South Wales Blues could struggle to dominate the Maroons, with two matches away in unfriendly territory to begin the series, it may yet prove to be a very difficult task. 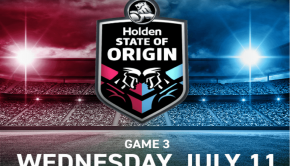 *Important note – State of Origin kick-off time is scheduled for 8:00pm (or 7:40pm, in the case of Game 2 2019), the actual starting times are often far later. The exact kick-off time, after the Australian national anthem is performed, and TV commitments are completed, usually approaches 8:15pm. The NRL have announced another new venue will be added in 2020 when the best sports ground in the country, the Adelaide Oval will host its first ever Origin game. It should be either Game 1 or Game 2 of the series.